Qognify - the trusted advisor and technology solution provider for Physical Security and Enterprise Incident Management - announces that it has signed a definitive agreement to acquire On-Net Surveillance Systems, Inc. (OnSSI) and the OnSSI company - SeeTec GmbH. In bringing these award-winning technology solution portfolios together under one roof - including Qognify VisionHub, OnSSI Ocularis and SeeTec Cayuga - Qognify becomes one of the largest VMS, Video Analytics, PSIM and critical incident management companies in the world. Qognify is backed by global investment firm Battery Ventures. Also located in Pearl River, New York, OnSSI was founded in 2002 with the goal of developing comprehensive and intelligent IP video management software (VMS). Today, the company has an established presence in more than 100 countries, where its Ocularis and Cayuga VMS solutions are relied upon by education, gaming, government, healthcare, manufacturing, retail, public safety, transportation and utilities organizations. 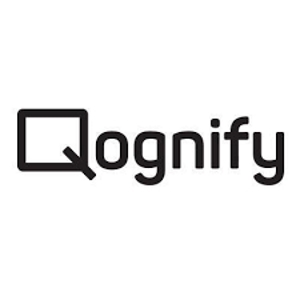 With Qognify’s proven pedigree in delivering successful projects for financial services companies, mass-transit infrastructure, large international airports and seaports, as well as smart and safe city projects around the world, the acquisition sees the company establish a dominant global position in both the mid-market and enterprise sectors. SeeTec GmbH is a pioneer of IP video technology and today a provider of VMS software in Europe. The Germany-based company was acquired by OnSSI in 2015 and boasts 100 employees, working out of offices across mainland Europe, Dubai, Scandinavia and the UK. This coming together of two of the security sector’s most innovative companies, unleashes unrivalled opportunities for collaboration"